This second edition of the fully revised and updated From Photon to Pixel presents essential elements in modern digital photographic devices. Our universal infatuation with photography profoundly affects its usage and development. While some sides of photographic “culture” remain wholly unchanged – art photography, journalistic and advertising photography, scientific photography, etc. – new facets emerge: leisure or travel photography, everyday life photography, anecdotal, observational or unusual photography, and microcosm, or micro-community, photography with its culmination in the narcissistic selfie. These new forms combine an often simplified manner of photographing and modern means of instantaneous, remote and mass communication. 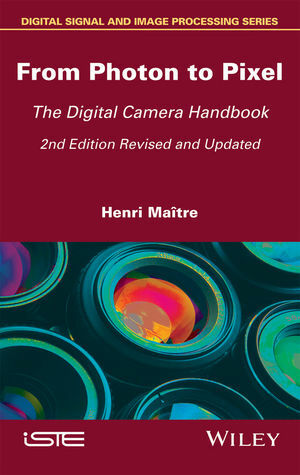 This book does not extend into the sociological study of photography, instead it explains how the digital camera works by examining in detail each of the components that constitutes it to provide the reader with a preliminary guide into the inner workings of this device. Henri Maitre, Emeritus Professor at Telecom ParisTech, Institut Mines-Telecom.